Corey Harris was headed down the wrong path and decided to do something about it. 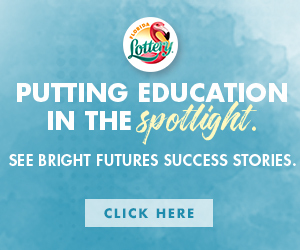 He invested in a career and this future by becoming a barber and entrepreneur. As a single father of four kids, Harris wanted to provide his children with positive images of himself as a business owner. During Corey’s elementary and middle school years he stayed in the principal’s office and was in trouble on a daily basis. Harris was not focused and school, and spent most of this time skipping classes and hanging with the wrong crowd. In fact, he failed his high school equivalency exam three times. Corey became a product of the streets witnessing his friends being sent to jail or going to prison for long term stints. Since recommitting his life, Harris is investing in his community. Last Saturday, Corey and his team of barbers held their 3rd Annual Hollywood Cuts Barbershop “Beyond the Clippers Haircut Giveback Day,” at the Clara White Mission. Over the course of three years, Hollywood Cuts has provided quality haircuts for over 500 needy individuals. 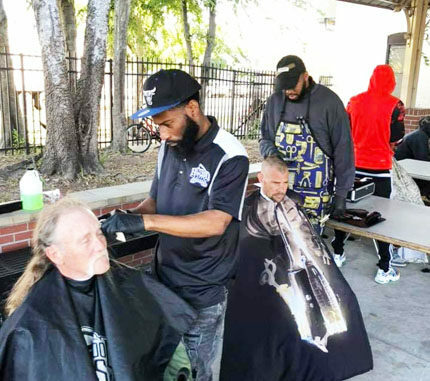 During the weekend’s event, the team donated fifty haircuts to Clara White Mission residents, veterans and homeless men in the area near Ashley and Beaver Streets in downtown Jacksonville. He added, “Millennials will not work a job for 20-30 years. 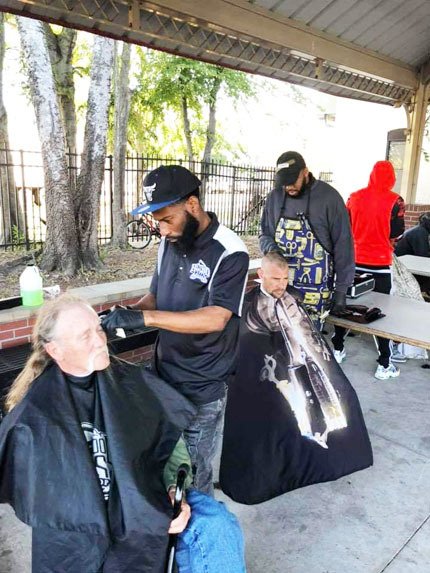 The time is now to live your best life and not be afraid to succeed,” said Corey, shown with his coworker Jeremy Pitts cutting hair for patrons Danny McAlister and Carlos Jones.